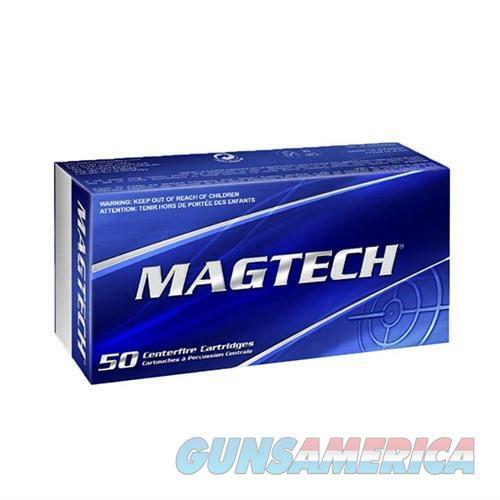 Before your next handgun range session check out Magtech Sport Shooting handgun ammunition. This ammunition is great for target shooting. Other calibers, bullet weights and configurations are available. Federal law requires an individual to be at least 21 years of age to purchase handgun ammunition, and at least 18 years old to purchase rifle or shotgun ammunition??. Residents in MA, CA, DE, DC, IL, OH and NY may have additional restrictions. Always make sure you use the correct ammunition for your firearms. Check your state and local laws for any other applicable firearms and ammunition regulations. Due to Department of Transportation regulations, we cannot accept returns on ammo. Please check local laws before ordering. SkyArms is still shipping ammunition orders to California but the process has changed to comply with California Proposition 63. We must now ship ammunition purchased online to an FFL or California-approved ammunition dealer.